Sunlight is one of the most environment friendly and pollution free sources of generating electricity. However, solar energy has one severe limitation, as soon as the sun goes down this important sources of energy is no longer available. In Arizona, a new type of thermal power plant has been built to circumvent this problem and produce electricity even during the dark. 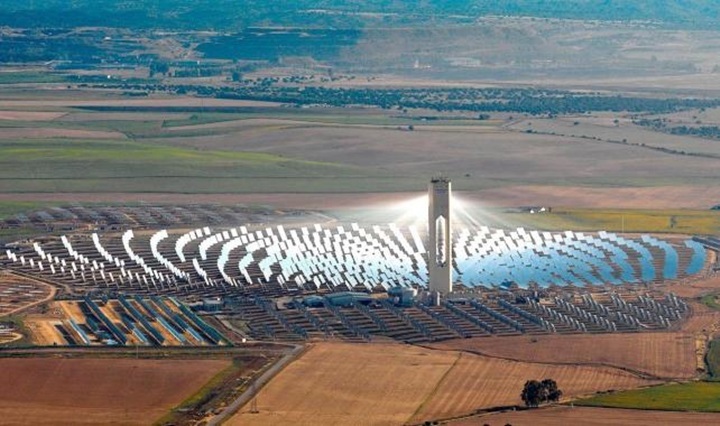 Built by the Spanish energy giant Abengoa , the solar power plant Solana is like no others. Typical plants use an array of mirrors to reflect and concentrate the solar energy on a single point. Thereby, heating a fluid which in turns boils the water to produce steam which is then used to drive a turbine. 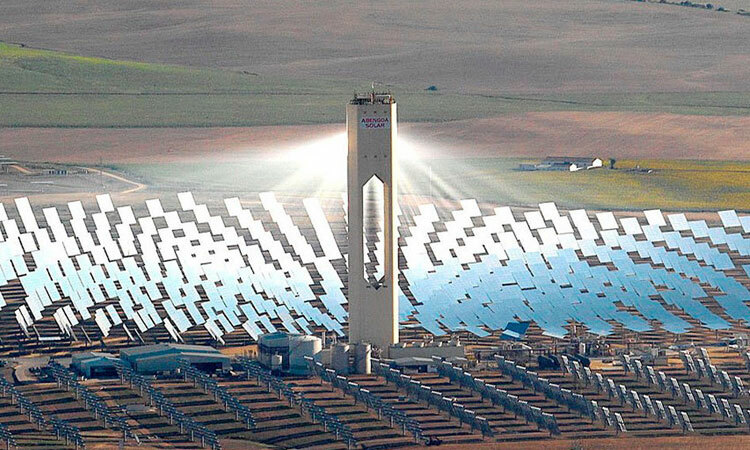 This approach has one problem, as soon as the sun goes down, the water stops boiling, the turbine stops and energy production ceases until the next morning. 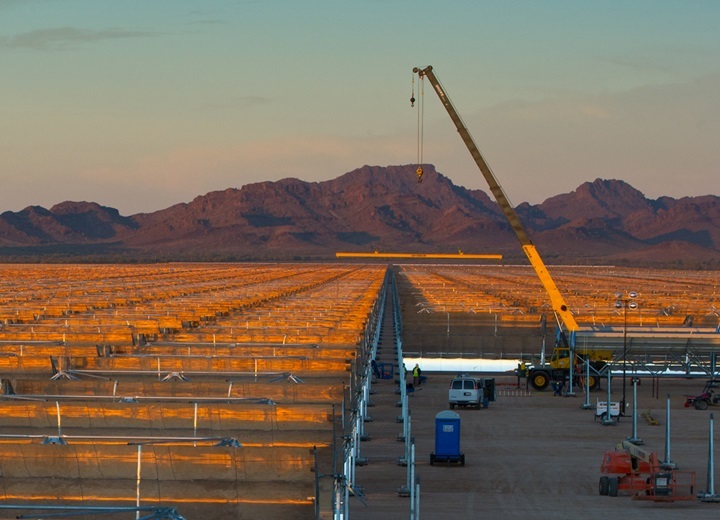 Solana uses a special type of molten salt to produce energy for 6 consecutive hours even after the sun goes down. 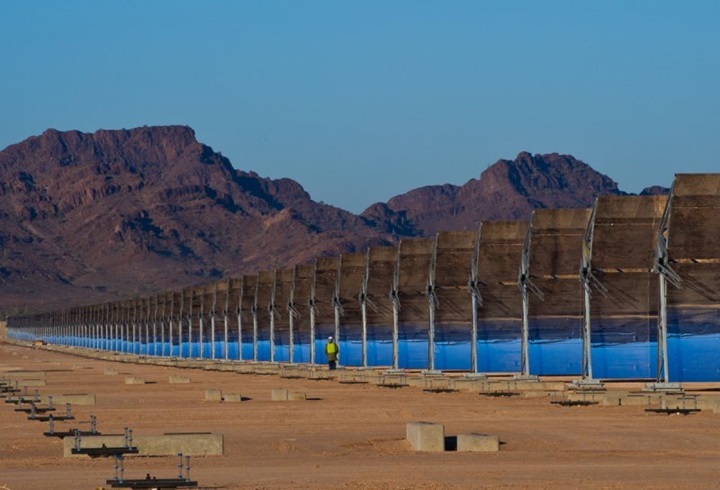 During the day, Solana works like any other solar power plant with 2,700 mirrors focusing sunlight on synthetic oils which are then heated to over 390 ° C. These fluids then flow in steam boilers to heat water and drive a turbine of 140 MegaWatts. 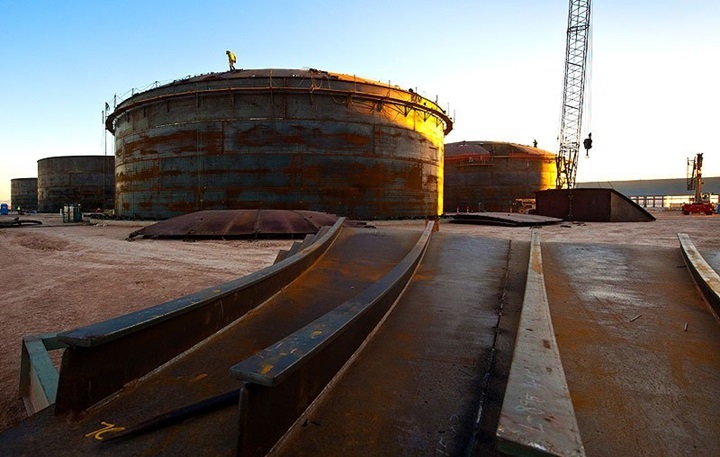 However, any residual heat from the fluids are diverted to a set of six tanks containing nearly 125,000 tons of salt . These tanks are then heated to 275 ° C so that the salt melts. During the night these molten salts can be used to heat more water to produce more energy even without the sun. Indeed, it is a great step forward that will allow the energy companies to make electricity from solar energy which is more cost effective and practical. The idea of ​​generating energy through the sun rays, even at night, is ingenious and we hope that this concept is democratized around the world. Do you think this type of power plant can be used in your country?